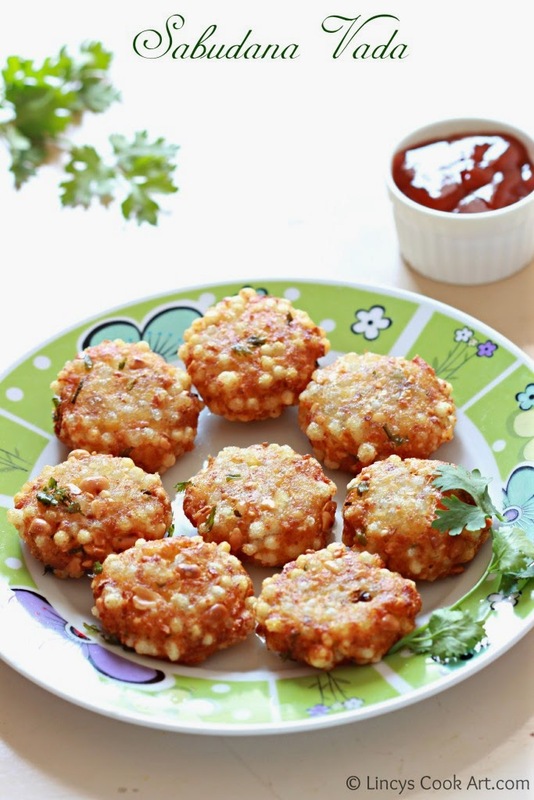 Sabudana vadas are easy to make snack originated from Maharashtra. It is generally served with green chutney or ketchup. I made this vada years before and now i am again making this vada for this blogging purpose. Tasty crunchy vadas when consumed hot. After a while the outer layer stays mild crunchy and the vadas tastes similar to patties. Apart from the soaking time of sago seeds the vadas hardly takes minutes to prepare. Wonderful evening snack with a cup of tea. For the surprise guest visits also easy to make huge numbers in minutes. 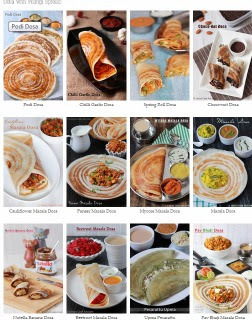 Generally prepared at the time of Navarathri or Dussehra fasting time food. Soak the sago seeds in water for 2 hours. Drain the water using a sieve or with hand and set aside. Pressure cook the potato for three whistles on medium flame till soft. When the steam releases allow the potato to cool. Peel the potato and mash well using hand or masher. Roast the peanuts till crunchy; allow to slightly cool. Pulse the peanuts twice or thrice in a blender as a coarse pieces; set aside. In a bowl add the mashed potato, drained sago seeds, crushed peanuts, green chillies, ginger, coriander leaves, salt and lemon juice. Take lemon sized mixture and form vadas out of it and set aside. Heat oil in a pan till smoking hot. Reduce the flame to medium and start frying the vadas till crispy texture with golden colour. Serve with spicy green chutney or sweet chutney or ketchup. Add half a cup more sago seeds to get more crunchy vadas. Boil potatoes a day before and refrigerate to save time and to get nice texture. Add rice flour or corn flour if you feel the vadas are soggy. You can use peanuts with or without shell for this recipe. You could use roasted peanuts too. If you use roasted peanuts just heat them to lift up the flavours. Adjust the spice level of vadas according to your taste. Very addictive snacks,looks crunchy & delish !! they look so delicious and crunchy! !